The School for East Asia Democracy(SEAD) was designed to strengthen the capability of young people in East Asia by solving various problems faced based on their experiences and concerns and establish network for co-existence. Countries in East Asia has their unique culture and tradition, but what they have in common is civil wars, dictatorship and growth-driven policies in the process of their tradition to modern country for the past 60 years. In this process East Asian countries raised wall against each other and ideological conflicts make their people communicate with peoples in other countries. It was not until 10 years ago when peoples of East Asian countries exchange freely with peoples in other countries in various fields including labor market and education. The background behind this change is their desire for democratization and efforts to achieve it. The SEAD aims to make young people in East Asia understand East Asia as a common place to live and adopt transnational issues in the 21st century like quality of life, removing poverty gap, labor and human right, balanced regional development, peace through denuclearization and demilitarization, natural disaster, energy, nuclear issues and migration issues as a common challenge, nurture talented people who can cooperate with other people for East Asia and contribute to establishment of cooperative network based on leadership of talented people. The SEAD is school composed of the participants who participate in this school actively. 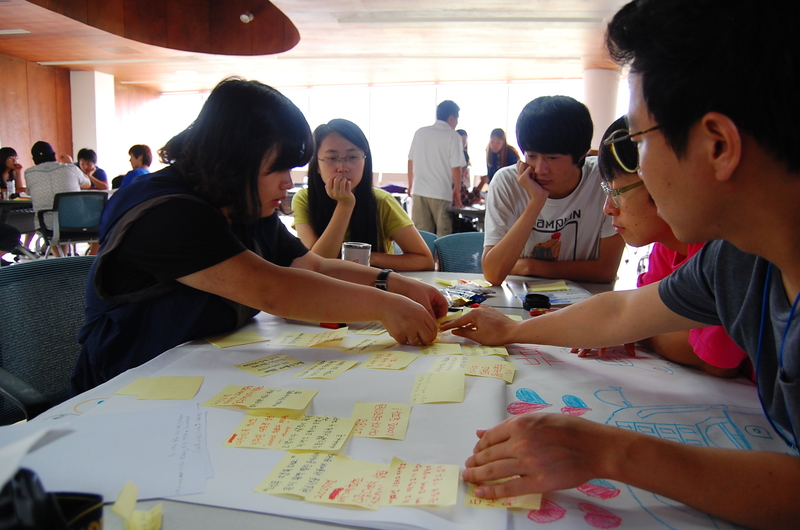 Young people in East Asia will come up with the future of East Asia and pursue project for the future. Future Asia will take root in local area where we live and the area will communicate with other region in the world making people adopt global issues as regional issues and try new alternatives. In addition, the SEAD participants will think and discuss together about the way how the democracy we had achieved so far can contribute to the peace and future of East Asia and what an alternative is. - Scenario Workshop "Imagine Asia in the year 2032"